1 REUSE! 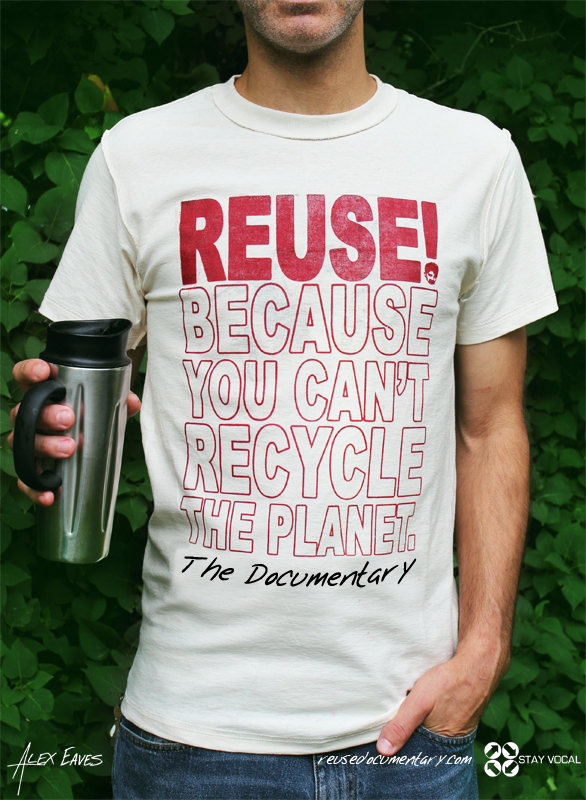 Because You Can’t Recycle The Planet T-Shirt - Choose Your Preferred Size and Color. "Surprise" could be any color or pattern, not just one of the options shown, making your shirt even more unique. 3 REUSE! Patches - 1 White, 2 Surprises. Size - 3.5 x 5.5 inches. Digital download of the REUSE! Documentary upon release.